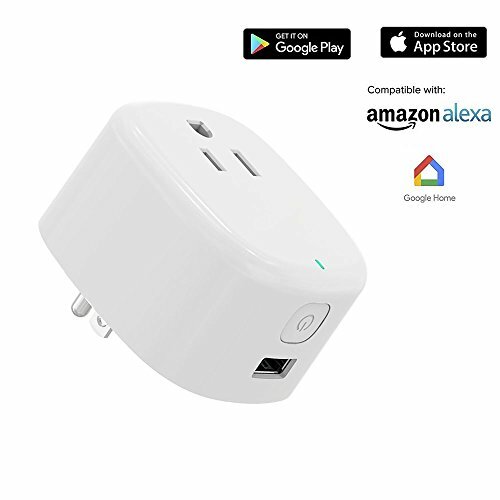 Using the Smart plug , you don't have to worry about no time to prepare breakfast again if you sleep late. You will have more rest time by setting an intelligent schedule for various matters. Different from mechanized setting , you will have more initiative-Turn on the lights in advance or prepared coffee to make your life Warmer,also make a romantic atmosphere like just right music by smart switch. If you have any questions or concerns, please feel free to contact us anytime and we will respond immediately. U. S based and top quality customer services. Feel free to contact us by phone at 626-330-0360 or by email at usniuku@gmail. Com. We are located at 233 n california ave, city of industry ca 91744.